Every adventure has its unexpected moments: my first happened just before I set off to Phuket. 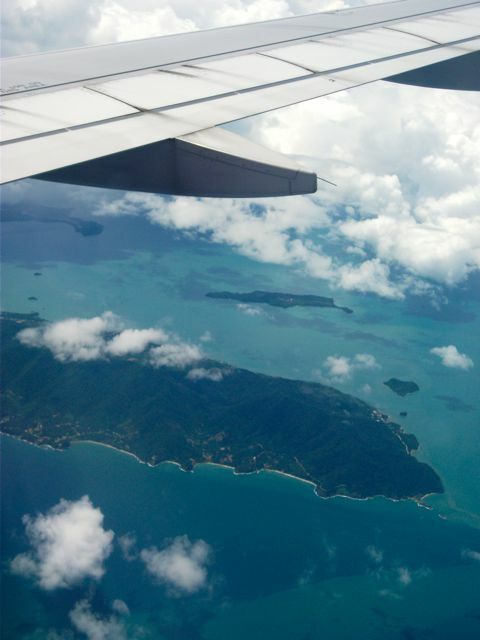 You could only claimed to have visited Phuket after you’d soaked yourself in the beautiful sea waters there. I can certainly testify for that. After two days of touring, the skins around my body are itching to get into the sea waters. How one could resist? 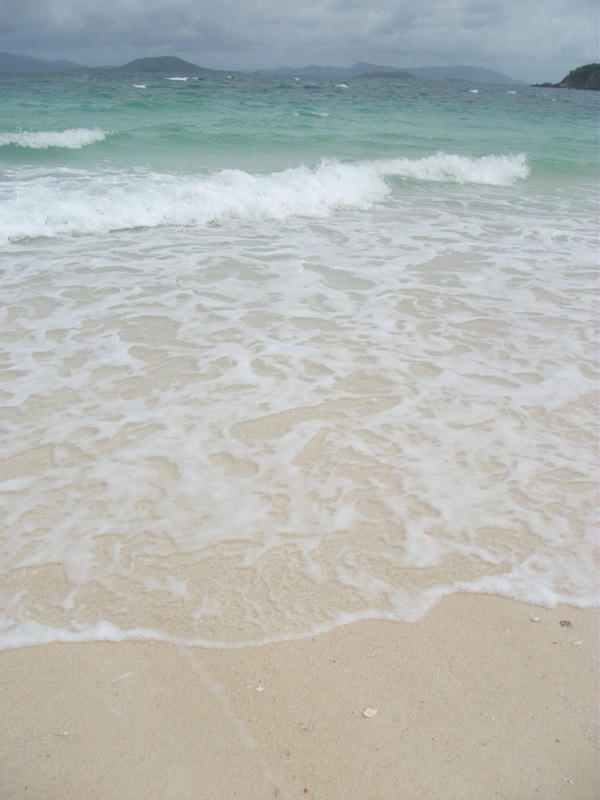 The crystalline waters, the sandy white beaches, the sounds of the waves… that’s my perfect paradise. It’s really popular among tourists to go for a tour to Phi Phi island; I had decided on something different. I had spent some time studying Phi Phi tour itineraries when I was there and find them quite rushed with about seven spots to visit. 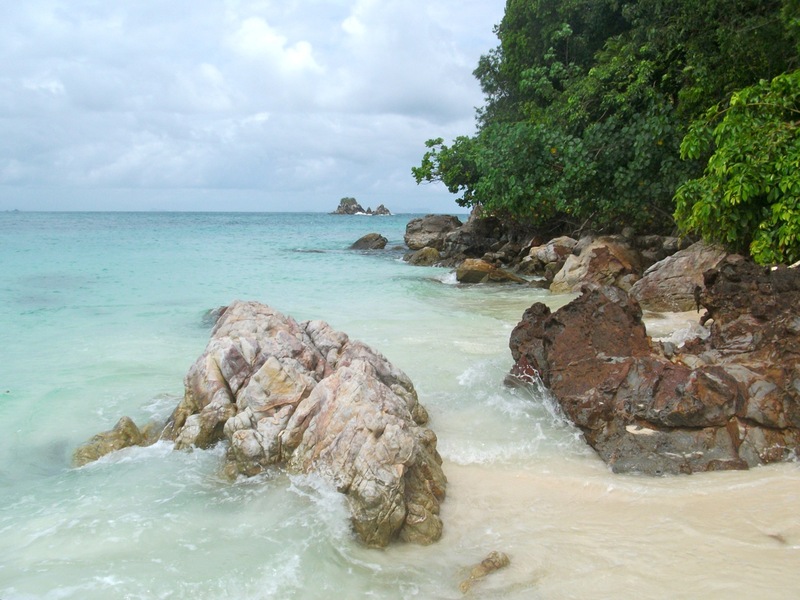 Preferring a relaxed trip, I had decided to go for a tour to Khai islands. 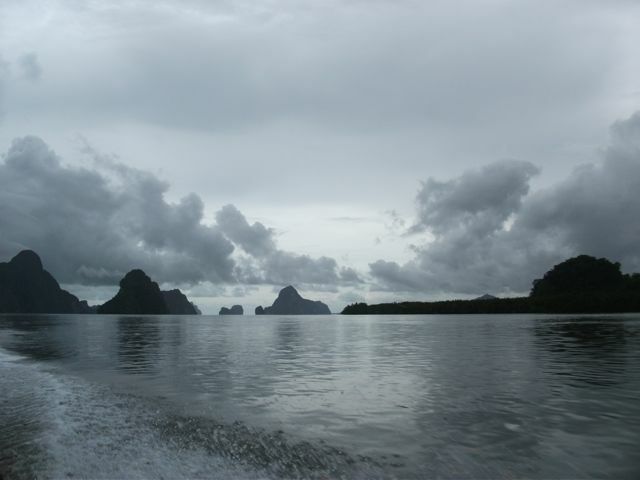 It’s July – the monsoon months in Phuket, a time when one would have to expect some wind, rain and rough seas. Although it’s a low season in Phuket, you’ll easily notice that this warning doesn’t hinder fellow travellers around the world to enjoy their getaway in this lovely land. 9 o’clock in the morning, our day started off with tints of gray, the skies are covered with an overcast of lumping clouds. As one would look up the skies with worried eyes, I could only notice how fast the clouds crawls from one side of the other with no sun in sight. I’m seated quite comfortably during my flight, other than the fact my legs are twisted in a slightly odd angle to overcome the cramped space in front of me. Yet despite that, I felt like being on the edge of my seat: I’m having travel anxieties. My brain was constantly reminded of the thought that it is my very first time planning for a trip and no amount of work I had done before seemed enough to quiet down the nagging thoughts that I could have missed something. “Relax… take a deep breath”, I told myself, repeatedly, making a conscious attempt to calm my nerves down.